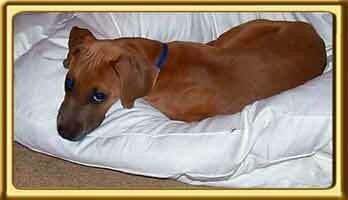 SOPHIE: Sophie is a purebred Rhodesian, but lacks the characteristic ridge and was donated to the pound. She lives with her new mom Desiree and is training to become a search dog. 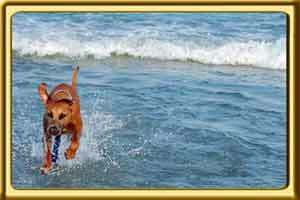 Read more about Sophie's Search Training and Ridgeback Behavior. Copyrighted photos by Desiree.